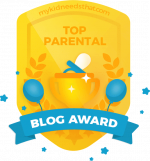 DADaPalooza: Vacation Adventure: High Octane Dadding and the Mark of Zorro! Vacation Adventure: High Octane Dadding and the Mark of Zorro! It's Vacation time at my son's school, which means that I need to get my rear end into high fathering gear. A boy needs to be educated, entertained, and spent time with. And that means high octane dadding. Usually I plan one adventure a day, and try to figure it out in advance. 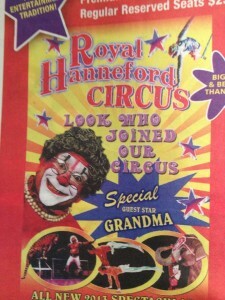 Saturday we went to the Royal Hanneford Circus in Westchester, which we've been doing every year for three years now. It's a good show, made even better by the special addition of the clown Grandma. They have one more set of shows today, and then I'm not sure where they are next, but it's worth seeing the show, even without Grandma. On Sunday, we went to the school's Purim party, which involved dressing up in costumes and parading around. My son went as Batman, and I went as one of Batman's enemies, False Face, dressed as a Milkman, thanks to some cool glasses I got from the Got Milk people at Dad 2.0. That was a good time and a lot of fun. Afterwards we went to Fairway Market for a long food shop and some lunch, followed by a nap. Today we are off to see Mark of Zorro at the New Victory theatre. In pure inventiveness, the production is a triumph. Robin Peoples, who designed it, has created a world where a suspended strip of masking tape can become a road, and a simple silhouette a galloping steed. “Zorro” makes effective use of the best of stages: the young audience’s imagination. Here's a video of Zorro. I'll let you know what I thought about it soon! As for the rest of the week. Tuesday it's the Science museum to see the Skateboard science exhibit, Wednesday we are picking up my mother-in-law in NJ, and we should have some fun then. Thursday we are seeing a kid's puppet show GRUG, also at the New Victory. And Friday and Sat-- well, we are playing it by ear. Because high octane dadding has to rely on improvisation!